Love, Simon is directed by Greg Berlanti and stars Nick Robinson as Simon, an ordinary boy with one secret: he's gay. He still doesn't feel comfortable coming out and this film follows his story as he falls in love with another boy over the Internet and discovers himself. This is a simple and sweet film that needed told. It doesn't try to be over-dramatic, it does what it needs to do. It is completely relatable, even as a straight person. You see the struggles that Simon goes through and you wonder o yourself what you would do in his shoes. With people like Neil Patrick Harris, Superfruit and Matt Bomer buying out cinemas to show this film to people who may not be able to afford it, this is such a treat for the LGBTQ+ community. One of the reasons I really enjoyed this film was because of the John Hughes style that this film had. It seemed like a perfect world that focused on the characters and their relationships. Nothing was dramatised or fake in this film, yes it was cheesy but this film benefitted from it. Part of me was not a fan of how Simon confronted the drama that he was placed in. Yes, I'm sure that if I was in that situation I would be selfish, but I think there were better ways to handle the bully of the film and I just don't think the bad guy was fleshed out enough, and over teen drama it just felt sort of petty. Other than that complaint, I really did enjoy this film. This is such an important film for this time and I truly feel that this is the first film to properly address and relate to the LGBTQ+ community. Also, the fact that one of my favourite bands Panic! at the Disco got massive recognition in this film made me incredibly happy. Please go check this film out, it is under-performing and needs a happy ending. Mike and Dave Need Wedding Dates is directed by Jake Szymanski, and stars Zac Efron and Adam Devine as brothers who look for online dates for their sister's wedding on Craigslist and drama ensues. What is truly funny about this film is that this is based on a true story. The Stangle brothers are actually real and they did actually try to find wedding dates on Craigslist. Casting Zac and Adam as brothers was brilliantly done, as they bounced off each other brilliantly and highlighted their different aspects of each other well. There were a few laughs to be found in this film, mainly by Adam and Zac. When they were interacting as brothers you can feel their friendship bounce off. It was when they tried to mix with the girls (Anna Kendrick and Aubrey Plaza) that the film starts to dip. I was not a fan of the way the girls were written in this film. Anna was the tolerable one, who had a decent back story and worked well with Zac. I have not seen The Office UK, but I have heard good things about Aubrey and I feel she did act her role well, she just had a bad role. I did not find her funny, empowering or relatable at all, and when everything is going bad for her I didn't feel a single bit of sympathy. This is a short film and it knows what it wants to do. It hits the humour and tone well, and it doesn't overstay its welcome. By the end I was smiling and it was a fun little film to watch, I just wish the characters were better written and less annoying throughout. 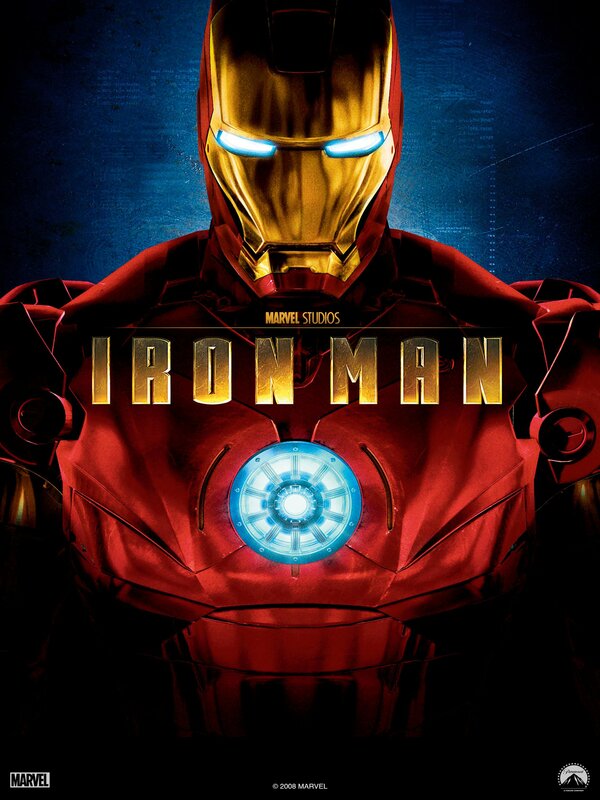 When you start from the beginning of the MCU, of course the first thing to watch is Iron Man. The film that started it all. Robert Downey Jr. has so much to thank for the MCU and starting it off with a bang. Whilst Iron Man might not be my favourite superhero, he is a vital one. His journey in this film is fantastic to watch, and not one second are you left bored. If you have not watched any Marvel film (if that's the case, how are you alive? ), you have to start with Iron Man. The best part of the film has to be the way they end it off. It is a perfect characterisation of Tony Stark, and in all honestly might be in my top three film endings of all time. It is so iconic, you will remember it the second you watch it. This is a short review as it is a Marvel film that has been around for over 10 years, so if you haven't seen it at all, or it has been a while since you've seen it, go back an honour it before Infinity War comes out. Who knows, if the predictions of his death are right, it will create one hell of an impact. If you do not like the MCU, a lot of my content for the next few weeks will be pivotal around it. i will still make reviews of other films (I have seen A Quiet Place and I am excited to discuss it), and I have my review of season 2 of A Series of Unfortunate Events to also go up.